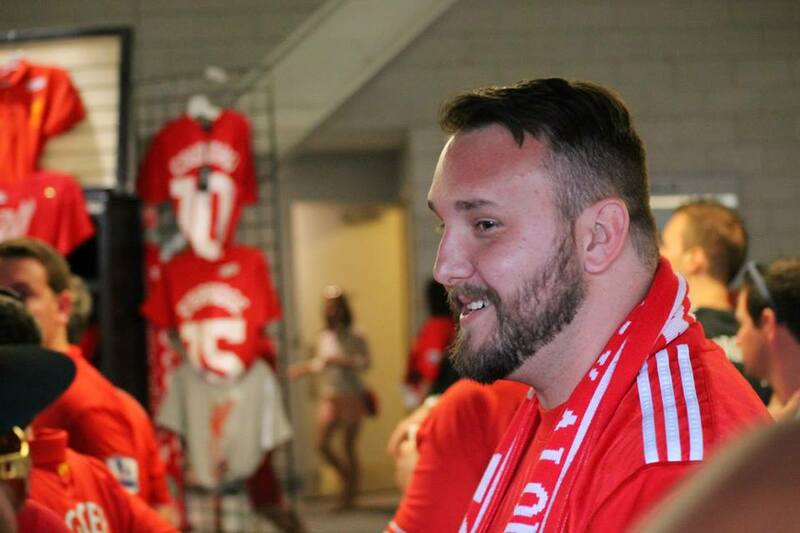 Fan Focus: From Yinzer to Indy Red. Spanish Invasion. Welcome back Indy Reds to another edition of the crowd pleasing Fan Focus. A slow combination of factors. My first exposure to the team was back home in Pittsburgh. A local sports talk guy was a huge LFC fan, sometimes watching matches while on air and even ending his daily show with a sound bite of the Anfield crowd belting out YNWA. At that point in the early 2000’s I was a big sports fan, but did not really have any soccer team to support. 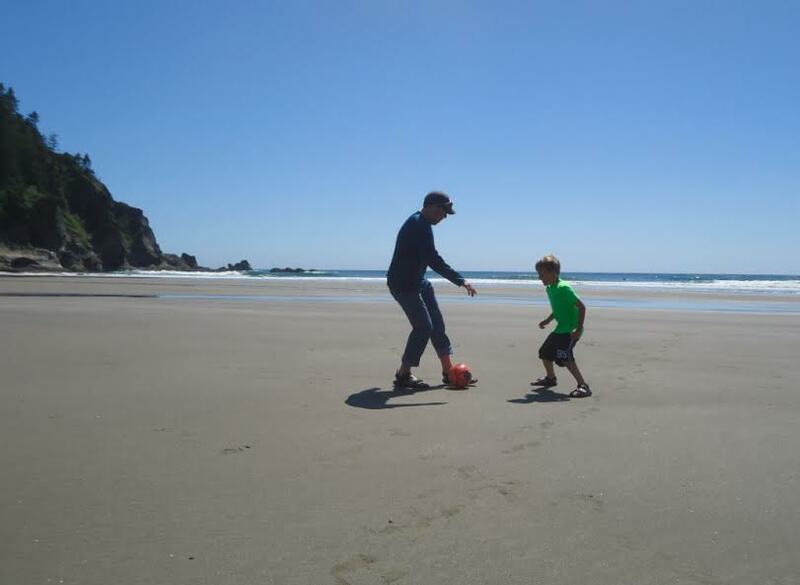 As I grew to love watching US Soccer, I realized I needed to follow the sport more closely. After the 2010 World Cup and by that point moving to Indy, I had made friends with people who played soccer and we’re into Manchester United. 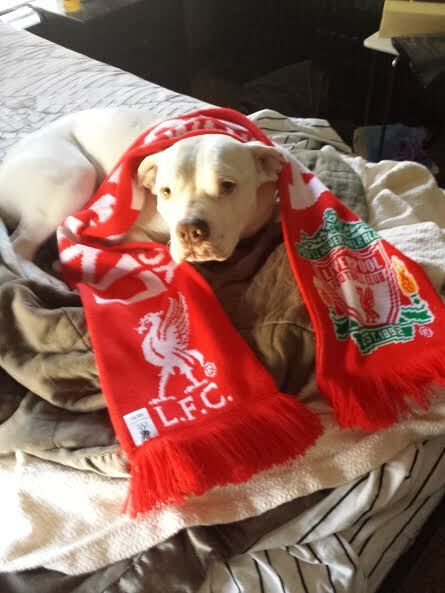 Something about that Bandwagon didn’t quite fit, and I met another friend who was a Liverpool fan. 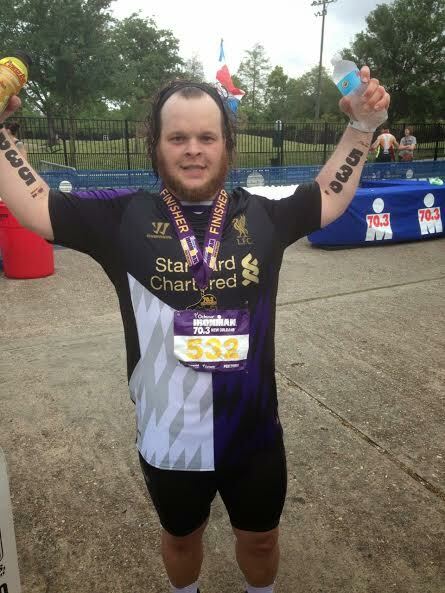 So I basically just decided… I will follow Liverpool and I have never looked back! First memories were of slowly watching when I could. I am an Air traffic Controller and I normally work weekends and until NBCSN took over I could rarely see a live game. But I was always keeping an eye online for scores, and watching for that Red Liverpool block in the table at Union Jack’s every time I went in there. First real jumping up and down “that’s my team” moment; The Suarez bite game, not for that though. But for finding a way to level it up in the 96th min against Chelsea. I was at work in the break room trying to convince my coworkers how exciting of a team they were, and on that day they were. I would have to say seeing them live this summer in Chicago and New York. Meeting Fans from all over the world, singing the songs on the Subway, and witnessing two big wins! 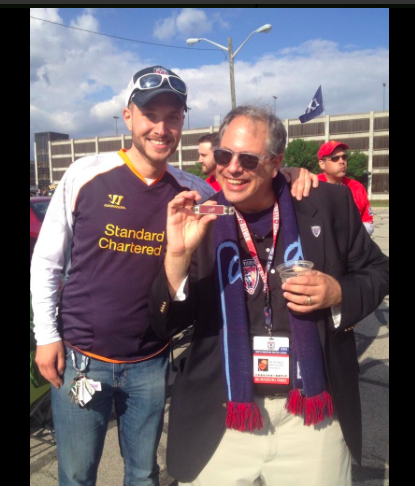 And how could I forget… Singing YNWA for the first time with the Chicago Kop. Whether I have to work or if I can go to U J’s, I try to leave the game on for my dog Dozer. He is also quite the fan, at least that’s what I tell myself. It was really working well last season. Although, if this current trend continues, I’ll have to start leaving him with Cartoon network instead. The game certainly wasn’t on my Radar back then, I do remember being on a trip to Europe in ’05 and seeing Amsterdam Arena. I said to myself “someday I will go to a soccer game in Europe!” Now I know what stadium I will go to and I can’t wait to make that trip. I have watched highlights and replays, what a game that was. Gotta go with Gerrard. Obviously for everything he means to LFC and being the heart of the team. Also watching him warm up in Chicago was amazing, they all had great power. But, there was just something else when Stevie kicked it. I hope I can make it to Anfield before he is done. If you could meet or have dinner with any LFC player/manager ever who it would it be & why? So many characters to learn about with this club. Historically I would say Shankly. I know you said one, but I would also love to hang out for night with Balotelli and hear what that dude is thinking. Dinner with Shankly then go Party with Super Mario. 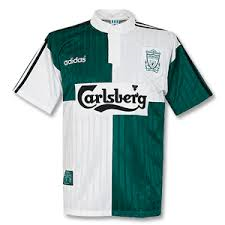 I’ll go with the Adidas Carlsberg second version without the single white lines on the front. Besides enjoy being rich…Get everyone in a room together and make sure everyone is committed to getting it back together this year, I’m sure they’re trying, but tough to watch sometimes this year. Tell them I Believe they can win the League, so let’s go do it! 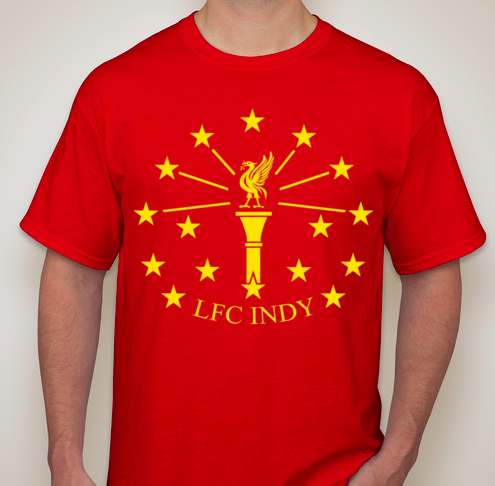 Of course everything the good people of LFC Indy put out there. Also various twitter feeds. Websites, Cable TV, & membership emails. LFC have just won the league, where are you going for a celebration dinner in Indy Area? Hang out with the rest of the Reds at Union Jack’s. Then migrate to my usual spots to keep it going into the night , Sinking Ship, 20 Tap, Alleycat, my porch. Jordan Ibe, he looks like he could be a beast! The one I saw live by Sturridge right in front of me at Soldier field, that moment was amazing. So many others to pick from, but I’ll never forget the first live goal. 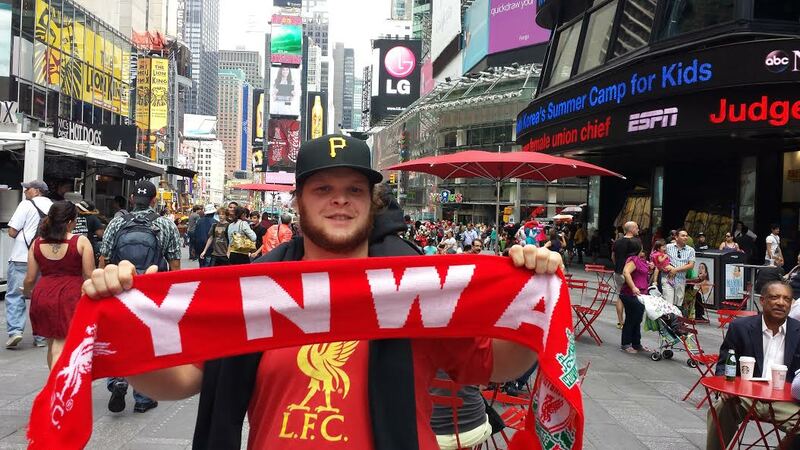 Yep, twice this summer in Chicago and NYC, But I’m on a mission to go to Anfield! Ice Hockey, cycling, starting to dabble with golf, and trying to stay active in general. I have been playing drums for 20 years. I was born and raised in Pittsburgh for 27 years, I follow all my teams back home. As far as local goes, I like to change it up and try different things. I’m looking forward to the pumpkin beers coming out. All time regional favorite is Three Floyds Zombie Dust! It is truly a worldwide fan base. I learned that more than ever this summer traveling to the preseason games. There are more of us then you think out there too. 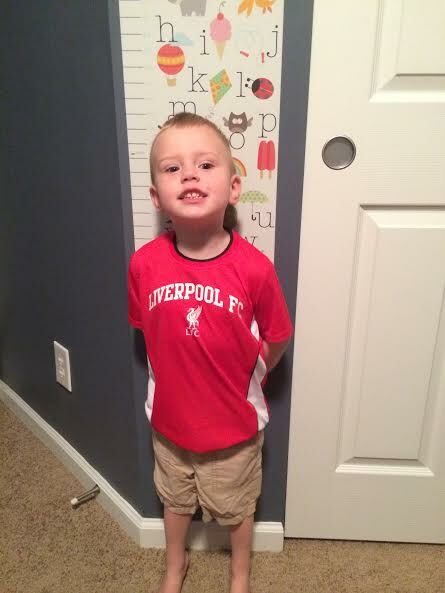 More often than not, when wearing some LFC gear you will get recognized. Growing up and being a Steeler fan (sorry, I know most of you won’t like that.) I was amazed that you can go to any city and find a Steeler bar. But, with Liverpool it’s even bigger! People treat you almost like a family member and the support and passion for the club is always impressive. HOLY COW!! How about that match on Sunday v QPR! Crazy last 6 minutes of the match. Joy and heartbreak and joy rollercoaster ride. If you were at Union Jack on Sunday the reactions were great. Who else had some great reactions that were very similar. Redmen TV. Video is NSFW because of language. But it is a very real representation of how a lot of fans reacted. Pretty hilarious to see. Redmen TV always have some quality videos. As you may have heard, we have a lot of games in a short amount of time. One of those matches will be tomorrow Wednesday at 2:45pm and it is two European Heavyweights. 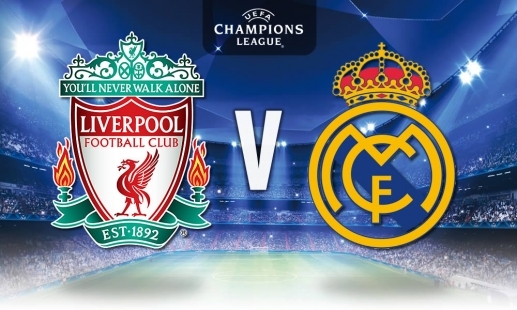 LFC v Real Madrid at Anfield in the 1st leg of their champions league group match. This is why you want European nights. Big match ups like this. It will be a hard and challenging match but you know how that Anfield crowd can be. It can push our players to play better than they should and it can make the other team play worse than they should. LFC and Real have met 4 times. LFC have never lost to the Los Blancos. Let’s keep that trend going. It is nights like this that legends and heroes and stories are born. One good news for the Reds is the dangerous Gareth Bale has been ruled out for the match. If you are able to take a late lunch or have an appointment etc get out to Union Jack Pub for the match 2:45pm kick off. After that we’ll see you on Saturday 10/25 at 10am for kickoff v Hull and continue the climb up the table. 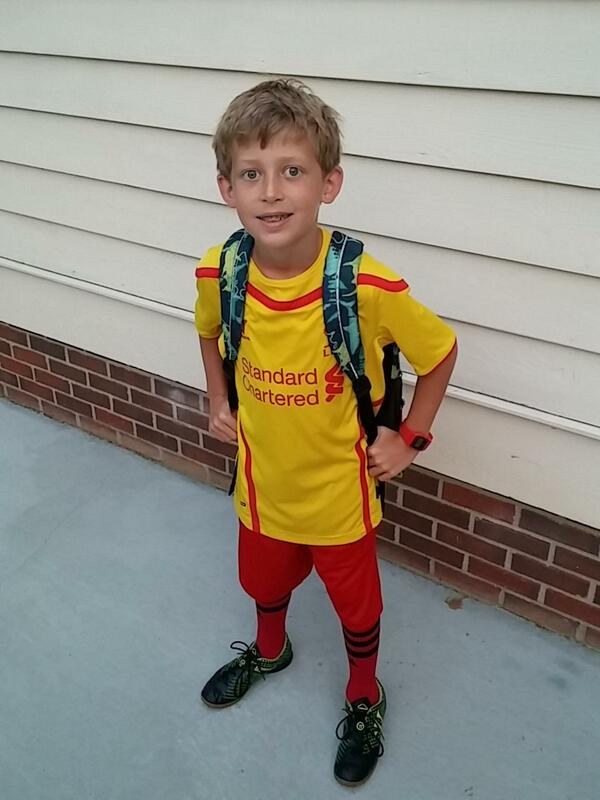 This entry was posted in Indy Red Fan Focus, Uncategorized and tagged Fan Focus, Indianapolis, Indy, Indy Reds, LFC, Liverpool on October 21, 2014 by LFCIndy. What do you like to do in your free time when you’re not at school? When I’m not at school I really just like to play soccer a lot and kick the ball around (yes, he’s destroying our house). I play with LEGOs sometimes and play FIFA on my Kindle. I follow football and basketball a little. You read a lot of books too. Have you read any Liverpool books? I have a few. Mom and I just read Steven Gerrard’s autobiography together on the Kindle. I also have the Pocket Book of Liverpool, 120 Men Who Made LFC, and Liverpool the Comic Strip History (all sit by his bed). Who’s your favorite player on the current Liverpool team? Who do you like among the young or on-loan players? Besides Liverpool, what other teams do you like to follow? If you could meet or have dinner with any LFC player/manager ever who it would it be & why? It would probably be Brendan Rodgers. I would just like to see what he thinks on how the season’s going and how they’re going to get better. And just like what he’s working on with them. How about any others from the past teams you’d like to meet? I’d like to meet Kenny Dalglish or Luis Suárez. Oh yeah, I really like how Dirk Kuyt played for us. One day you were showing me a website where you could pick your favorite team and I read the description for Liverpool. It said if you like Bill Russell more than Michael Jordan, because he won more titles, than you probably like Liverpool. So, yeah. You watch a lot of soccer and old videos and LFC TV – do you have a favorite Liverpool moment or goal? Well, I have one moment and one goal. My favorite moment was from last year when Coutinho scored in the game against City where they won 3-2. I just felt like we could conquer the league. And the goal was when they played Norwich at Anfield where Suárez got four goals. That one (the third goal) where he just popped it over the defender’s head, leaned his weight to one side and shot the ball the other way. You weren’t born yet when Istanbul happened. But you have checked out the Liverpool “Champions of Europe 2005” DVD from the Lawrence public library about a hundred times, right? It’s been in your possession more than the library’s over the past year? If somebody from the LFC Indy club wanted to watch it they’d have to come find you, right? So what was your favorite moment of the Istanbul final? I just thought it was really cool. It would have been nice if I was there when it happened. It just seemed exciting and it would have been great if you were there at the stadium. I liked the celebration by Xabi Alonso and his teammates when he got the rebound and scored off the penalty kick. 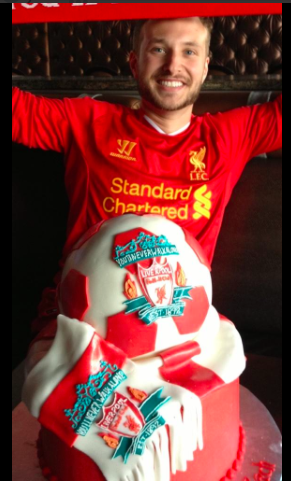 When you watch a Liverpool match do you have any superstitions? 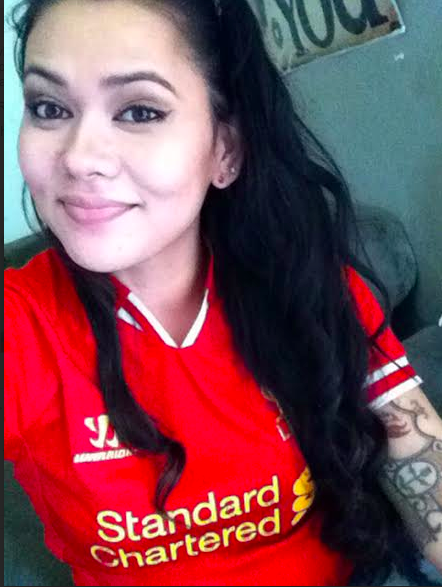 Well, I like to wear my Liverpool shirt with you but it doesn’t always work. No, it doesn’t always work. What do you do if Liverpool loses a match? You’ve learned all about the Liverpool kits—what’s your favorite? You are in charge of Liverpool for 1 day… what do you do? I’d probably try to sharpen up the team a little bit with some new signings—maybe another center back, a striker and a goalkeeper. I’d like to get Jordon Ibe back. And work with the team on their attacking and creative play, and making good passes and touches. Have you ever seen Liverpool play in person? Yeah, I went to Soldier Field in Chicago to see the Olympiakos game. I thought it was really interesting just being around all the fans. It was fun. It would be fun to go to Anfield someday. I’d also like to go to the Stadium of Light (Sunderland). If Liverpool won the league, where would you go for a celebratory dinner? I’d would probably go to Buffalo Wild Wings so I could eat lots of wings and watch the highlights again and again and again. What makes you most proud to be a Liverpool fan? 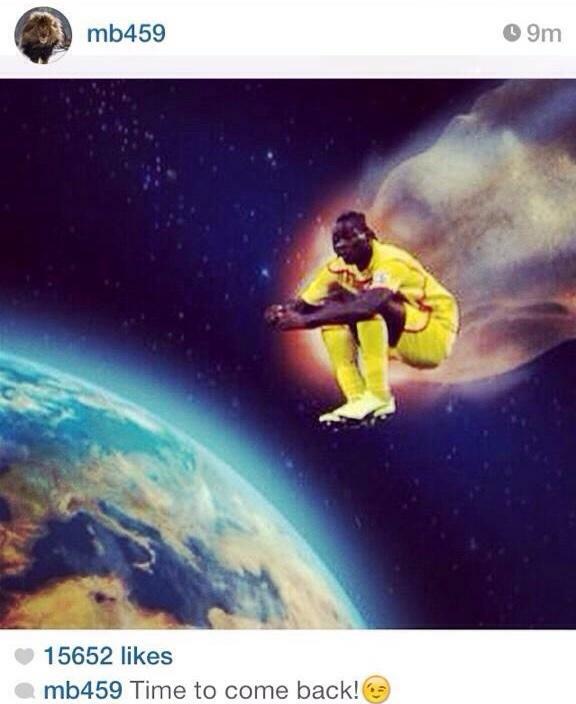 Just what the atmosphere is at Anfield and stuff. And just how our supporters are good and how Rodgers is usually good. Any other team that would consider you a big supporter? Yeah, we support Indy Eleven (he’s been to most of the games and likes sitting with the Brickyard Battalion). I really like their goalkeeper, Kristian Nicht. And probably A.J. Corrado and Dylan Mares because they’re two of my coaches (at the FC Pride club). Thanks Guys! Look forward to seeing you guys come out to Union Jack for a match, Don’t worry Grant we will pull out those 3 points for you! As you’ve probably seen this morning Dejan Lovren was injured on International Duty. Not the best way to start off the break. That leaves us with Martin Skrtel and Kolo Toure as the top CB choices since Sakho is still out till the start of October and Wisdom & Ilori are out on loan. Congrats to Striker Daniel Sturridge on hitting 1 million followers on Instagram. If you don’t have IG it is something to get to follow players like Sturridge, Gerrard and probably one of the best “instagramers” Mario Balotelli. Here is an example of why you should follow Super Mario. International breaks are never fun, with always the worry of injury happening, but on this international break you do have the chance to get that soccer fix with two really nice matches. First is on Friday night you get to see Landon Donovan in his farewell USMNT match. Landon is one of if not the most famous and best USA players in national team history. 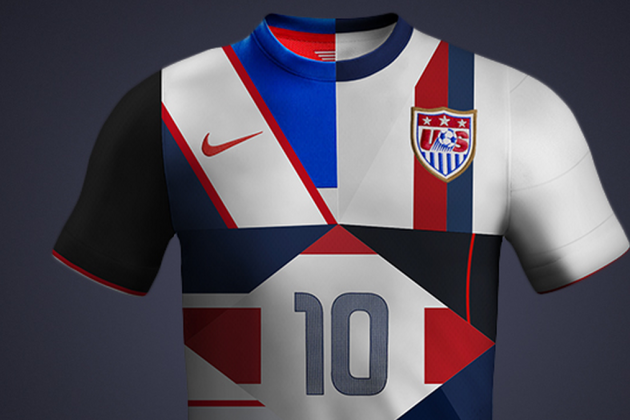 Here is a mockup of all of the USA shirts he has ever worn. Then on Saturday it is the 2nd to last home match for your hometown Indy Eleven. Hopefully they can pull of back to back home wins this week and next week. Hope the folks who won the Suite tickets to the match last time out had a good time. Next Sunday Oct. 19th will be the first Battle of Union Jack’s. As you know the Indy Reds call UJ’s home but also the QPR supporters club also calls it home. SO make sure to get out there to fill up Union Jack’s next week and drown out those Hoops supporters. Show them why it is called Indy Anfield. Have a good rest of the week Indy Reds. A new Fan Focus and a new Red Tardis will be up next week. 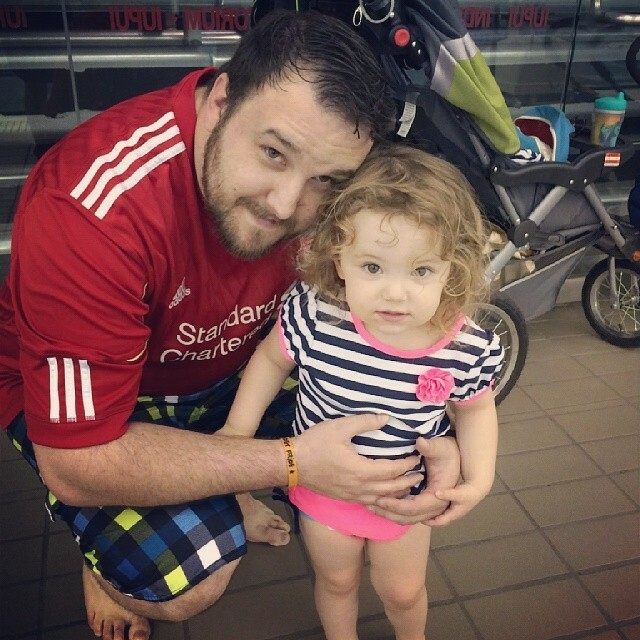 This entry was posted in Indy Red Fan Focus, Uncategorized and tagged Fan Focus, Indianapolis, Indy, Indy Eleven, Indy Reds, LFC, Liverpool, YNWA on October 9, 2014 by LFCIndy. How did you pick Liverpool as your team? People always ask me for help picking a premier league team to support, and I always respond “You don’t choose a club, the club chooses you,” and I truly believe that. I’ve always been a fan of the premier league in general as a league ever since Fox Sports Net used to have a two hour premier league review highlight show every Sunday night. That then blossomed to Fox Sports World showing premier league games on the weekend. I would tune in as often as I could for any game with no specific team in mind, but that changed, and then gradually over time I found myself urging on Liverpool. That transitioned to being emotionally invested in the result, to not being able to miss a match by any means, and watching the season unfold via crappy internet streams since FSC only showed 1 or 2 games a weekend. First LFC memory? Tuning in to Fox Sports Net on Sunday nights as a freshman or sophomore in high school to watch a Match of the Day-esque type highlight show and seeing the likes of Owen and a young Stevie G.
Favorite LFC memory? Singing “You’ll Never Walk Alone” at Anfield. Also, a proper pregame for the match at “The Park” pub across from the KOP, bouncing and singing my voice horse until the final whistle. Do you have any superstitions or traditions you do/have for each match? Last Christmas I got some LFC dress socks from my parents. I’ve worn them for every match in 2014, and results have seemed to have gone swimmingly since, so I’ll stick with that for now. Where were you during Istanbul? I was watching at my parents’ house during summer break from college. I remember turning it off at halftime and moving to my room, and turned it on my little 18” TV next to my bed as I lay down right as the comeback started. I squinted to watch the rest of the match, but I couldn’t move. Favorite Current Player and Why? Steven Gerrard. Heroes come and go, but legends stay. I’ve always had a love affair with the star striker on teams. Growing up my favorite player was the Brazilian Ronaldo, so I’ve had my absolute highs and lows as Fernando and Luis have both won and broke my heart. It makes you appreciate the skipper more and more, and he never lets you down. History proves that when he’s on the pitch, LFC can never truly be counted out of any contest. If you could meet or have dinner with any LFC player/manager ever who it would it be & why? I think Jamie Carragher would be very entertaining to sit down with. Him and Stevie together would probably be a dream dinner with all the banter back and forth. I’ve developed an ear for scouse, so I’m confident I would be able to make out 99% of what they say. You are Owner of Liverpool for 1 day what do you do? Install safe standing in the KOP. Obviously I’d have to change the premier league ruling, but that is when the KOP was in its absolute pomp, and I would like to see it return. Where do you go to get your LFC news/info? Twitter. Generally the Mersey based journos like Tony Barret and James Pearce, and then local Liverpool season ticket holders whom I’ve weeded out to be reliable. LFC have just won the league, where are you going for a celebration dinner in Indy Area?Assuming I’ve caught my breath and gathered my bearings, I’d want to celebrate with fellow reds. There’s no better place to do that than Union Jack here in Indy. Newest Signing or Young Player you are looking forward to seeing this year play? Can I cop out and say all of them? Lazar Markovic will be exciting to see blossom into a world beater, Super Mario will be a can’t miss watch every weekend, I’m interested to see Adam Lallana perform on a bigger stage in a system that suits him, Alberto Moreno will hopefully be the fullback we’ve been missing since Riise, and Emre Can learning how to boss the midfield. Favorite LFC Goal? There’s so many. For nostalgic reasons in terms of giving me belief I’d say Benayoun winner against Fulham in ’09 and Coutinho winner against City last season. Out of pure awe and amazement I’d say Gerrard’s volley against Middlesboro, Torres’ volley against Blackburn, and Suarez’s volley from 45 yds against Norwich. Have you ever seen LFC play in person? YES. I’m fortunate to say I’ve seen them play in person 3 times, twice at Anfield, and once this summer in Chicago. I went to the game against City on Apr 11, 2011, sat in the Anfield road end as LFC triumphed 3-0. Things of note from that contest: Andy Carroll scored his first 2 goals for LFC that day, Jon Flanagan made his debut, and Mario Balotelli came on for an injured Carlos Tevez in the first half, and was subsequently substituted in the 65th ish min. My other game at Anfield was last October against Palace, where Suarez made his home return after suspension, scored while on the ground after slipping over. Sturridge scored a beaut and a Stevie pen capped off the scoring for LFC as they won 3-1. It’s obviously an experience that every LFC fan should have, and I plan to be back soon. Next goals will be to try and go to a derby or champions league match, and/or sit in the KOP. What other sports do you follow or hobbies do you have? I’m a massive IU basketball fan, and a big fan of the Pacers as well. Best Local Indy Area Beer to have during an LFC match? Sun King Osiris is my favorite local beer. During the match I’ll generally switch things up. What makes you most proud to support LFC? Generally an LFC fan is knowledgeable about the sport and team’s history, passionate, and friendly, and those are the type of people you like to keep company with. Best thing about being an Indy Red? Having some place to watch the matches, other than by myself on my couch, in the rain, snow, or shine, in Union Jack always being accommodating. 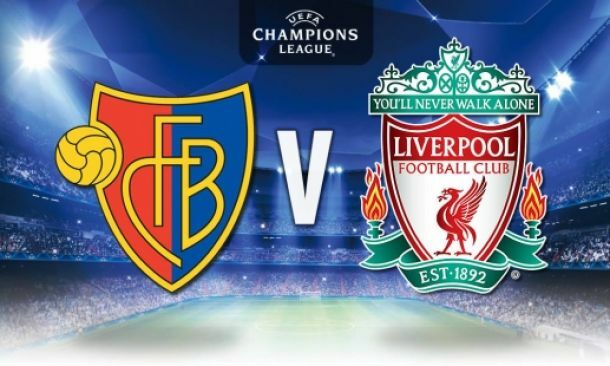 LFC are back in action Saturday 12:30pm kickoff. Your Redmen will be looking to hopefully start a little quicker and open up the scoring a little faster than the last couple of matches. On the injury front LFC’s depth is getting tested some. Sturridge is out until next week. Joe Allen could be out anywhere from 2 weeks to a month. Can is still out for about another month. Glen Johnson is out for another week. Young Flanno hurt his knee and will be out a few months now also. One bit of good news is Martin Skrtel rejoined training this week. Will be interesting to see how LFC lineup Saturday. 4-3-3/4-4-2 diamond? Who will get the start up front with Balotelli. Lots of suggestions have been thrown out there but just need to trust in BR that he will pick the best squad for the situation. We’ve got another perfect kickoff time this week with a lunch time start. Make sure to get out to Indy Anfield Union Jack Pub for the match. Get some lunch, drink some tasty beer, watch some Poetry in Motion. You might have seen but LFC emailed us this week to let us know that our paperwork to become an Official Supporters Club as been received by the team and they will be reviewing it next month in October. So that is another positive step in our goal of becoming Official. Giant Thank you to everyone who has helped us to grow so rapidly in such a short amount of time. To give you an idea of how fast we have grown and how large we have grown, The first ever LFC Indy tweet was sent out this week 1 year ago. We now have one of the highest twitter followings of any USA LFC supporters club and we doubled the minimum goal for LFC memberships for a Supporters club. Great job, give yourself a pat on the back and buy yourself a pint for helping to spread the word and love of this historic and massive team. 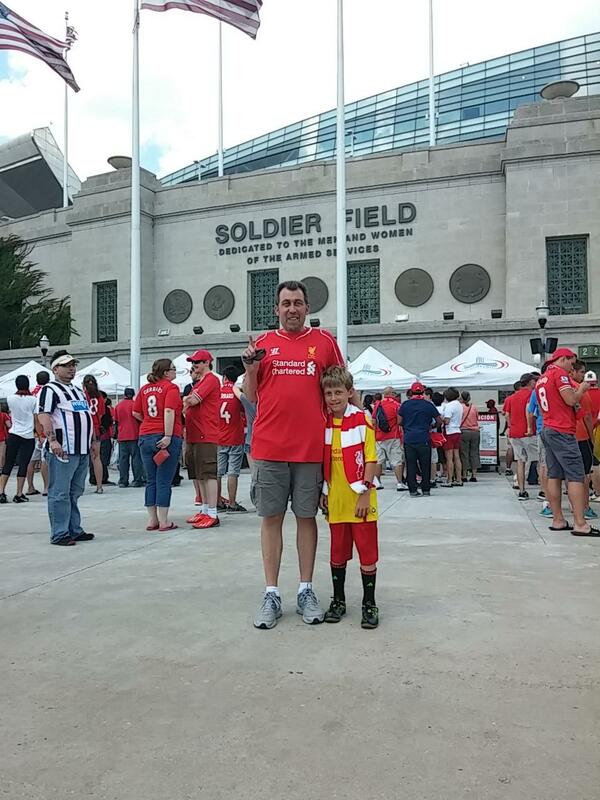 This entry was posted in Indy Red Fan Focus, Uncategorized and tagged Fan Focus, Indianapolis, Indy, Indy Reds, LFC, Liverpool, YNWA on September 18, 2014 by LFCIndy. How did you pick Liverpool as your team? In Junior High, I had to write a paper on a Socialist. I asked my stepbrother if he had any ideas on who I could write my essay about. As a huge music lover he told me to check out Bill Shankly, “from the land of the Beatles!” So I did… I mean, you kind of can’t go wrong with the Beatles. For two weeks I learned everything I could about that man. Passed my essay and class and still could not stop reading about Shankly. I was without a doubt hooked on him. Which made me (A huge West Ham fan at the time) take an interest in the team that he had supported and loved. Took a step back from the Hammers and realized that Liverpool was for me. Proud Red ever since. They were more than just a team, they were a family and included it’s fans in this big family as well. First LFC memory? 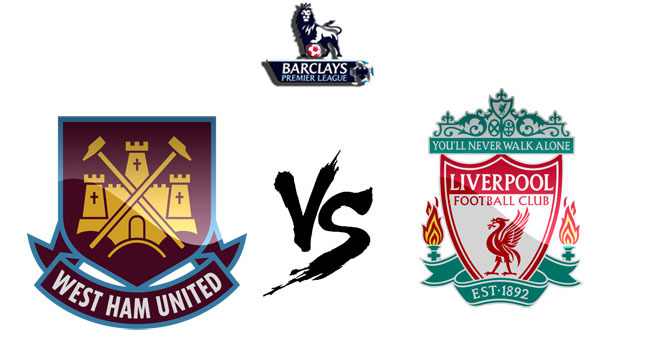 Growing up a West Ham fan, I had watched a few LFC matches when they were against WHU. Before making the big switch, I always thought LFC had the greatest song. As I began to get more involved with LFC, the song started to have more meaning and to this day, You’ll Never Walk Alone still gives me chills. But I’ll never forget the first time it happened. As far as first LFC memory during a match… When Michael Owen scored his 100th goal with LFC vs WHU. I was 13 and blown away. I was happy for him as a key player but also happy for Liverpool as a whole. Favorite LFC memory? Of course, ISTANBUL.!! But watching them return to Liverpool and the response from the fans was overwhelming. Imagine being there, with over 700k fellow Reds. Even from Indiana, you could feel the love and it was beautiful!! Hands down, my favorite LFC memory. Do you have any superstitions or traditions you do/have for each match? Always a pre-match FaceTime session or phone call with my footy partners in crime across the pond. My phone will be going off for hours before the match “You awake? WAKE UP! It’s match day!” Granted they are already drunk. We talk about how we think it will play out, what we are drinking, if we are going anywhere to watch it, etc. Other than that, You will never see me with my nails representing anything but LFC throughout the season. Such a girl answer, whatever. Lol. Where were you during Istanbul? I was a junior in high school. No cool story about watching them win and getting tanked. More along the lines of last minute studying for finals, calling my stepbrother between classes, and wishing the day would go by fast. Favorite Current Player and Why? Gerrard and Sturridge. Stevie G.! Because, well… He is literally a legend. His passion for the sport and club makes me proud to call myself a Red, and proud to call him my badass Scouse Captain. Studge.! He is just amazing. He and Suarez as a pair were fierce and unmatched. Now with Suarez being gone, I feel we will truly be able to see him rise and I am especially excited to watch him this season.! He never lets me down and always makes for a good match. Plus, his dance is tops. Lol. If you could meet or have dinner with any LFC player/manager ever who it would it be & why? Bill Shankly. Bill Shankly. Bill Shankly. To be able to be in his presence and hear his story out of his mouth would be such an amazing moment. I’m not entirely sure what I would ask him, as I would be in awe at everything he had to say. Of course I would thank him for being such an influential figure in LFC history and give him praise on his life and all he had done. As far as the course of the conversation goes, totally go with the flow and just listen to him. See what advice he had to offer and just take in those few hours with him and truly listen to everything he had to say. You are Owner of Liverpool for 1 day what do you do? 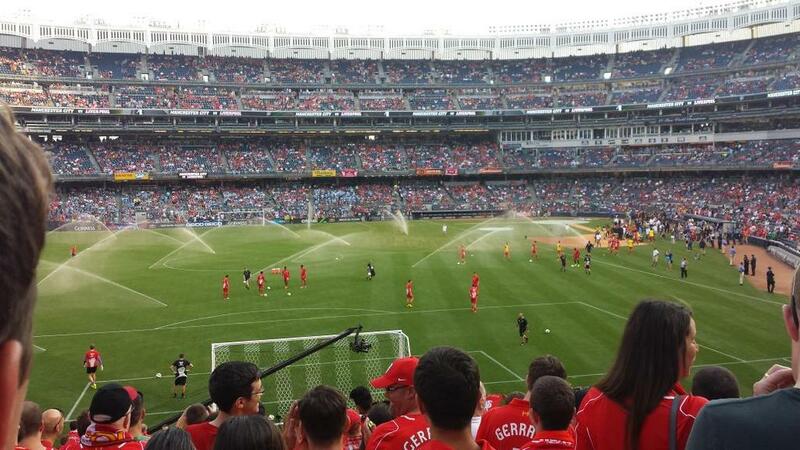 If I were Liverpool owner for 1 day, I would make it easier for fans outside of UK to make it to a home match. Possibly have a series of contests allowing a few winners from supporting countries the chance to win a home ticket including airfare and the opportunity to meet the players. It would end up being a bit costly, but I think that would be great for the loyal fans from other countries. Newest Signing or Young Player you are looking forward to seeing this year play? I’m looking forward to watching Sterling, of course. He’s such a valuable member of the team and has a lot to offer. Also just fascinating to watch. Favorite LFC Goal? Gerrard’s 90th min goal against WHU in the FA cup leading up to the win. Such a great match as a fan of both clubs.! Have you ever seen LFC play in person? I’ve never been to an LFC match. I don’t think I will go to an LFC match anywhere until I see them at Anfield first. 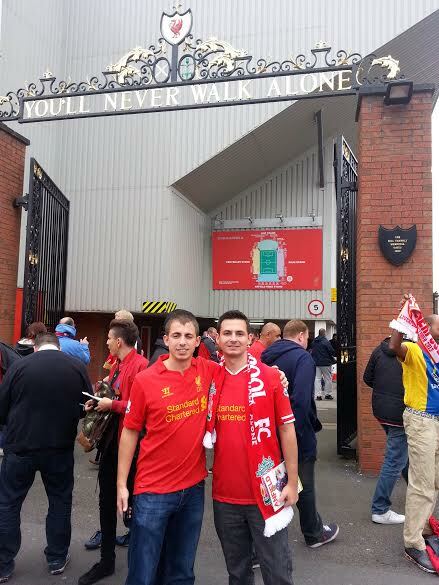 I’m a stubborn person and although I know they will be amazing anywhere, I am set on my first time being at Anfield. I just know that there would be no other way to experience it first hand than to be at home. What other sports do you follow or hobbies do you have? Pretty busy with my two awesome kids, but I’m an avid collector of Star Wars memorabilia and pandas. I love reading and learning about different cultures. WWII History obsessed. I also enjoy helping out with charities when I can. Always a good feeling to pay it forward. Best Local Indy Area Beer to have during an LFC match? 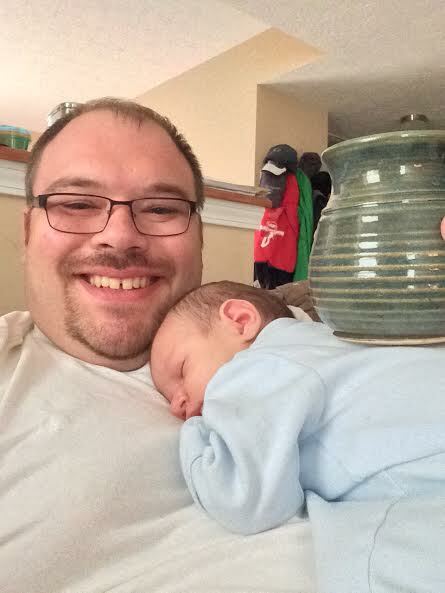 Favorite local beer would have to be Oaken Barrel’s Snakepit, Brewed in Greenwood. I love a good porter and it’s my favorite locally brewed. I am also a fan of their Indiana Amber, for those who enjoy Amber Ale. What makes you most proud to support LFC? I am proud to be a Red because when you meet a fellow Red, you are automatically like family. Being able to have that in common with people is a great feeling. You just pick up like you’ve been friends for years. As a whole, we are a welcoming, friendly, diehard group of fans who share the same respect and love. Best thing about being an Indy Red? 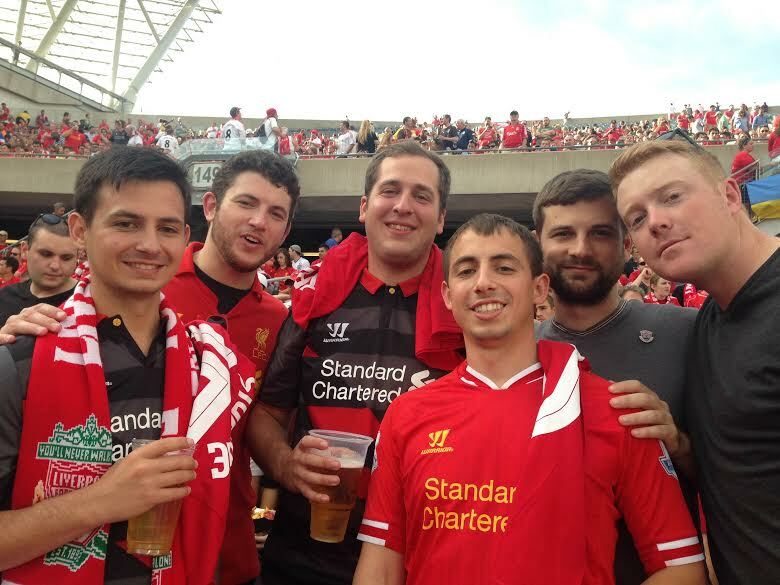 Being able to build friendships with others nearby who share the same love for LFC as you. Thanks Tomi, always fun to post these each week and learn about our Indy Reds. 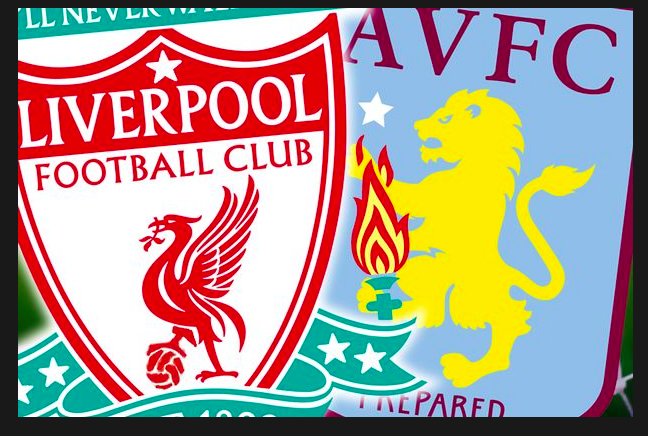 Your RedMen are back in action this weekend, Saturday 12:30 kickoff v Aston Villa. Should a pretty good match. The Villains have given us some trouble the last two times out at Anfield. Here is Brendan Rodgers Pre-match press conference. LFC have been hit with the injury bug of late. Out this week will be Sturridge(2-3 more weeks) Skrtel, Flanno, Can(up to 6 weeks) Johnson. Good news…Lallana is fit to play and it looks like Hendo is a go too. We also have a much deeper team and bench then we’ve had in previous years. Luckily we also have a little “softer” schedule over these next few weeks. Will be good to see players like Lallana, Markovic, Lambert, Borini come into the squad and step up. Get out to Union Jack Pub! Should be packed. If you’ve never been to Indy Anfield this is the perfect time to come out. Great kickoff time to go and get some lunch either before or after the match. Get some good food and beer in before you head down to the Indy Eleven match that evening. Speaking of Indy Eleven looks like we are going to have quite a few Indy Reds there. Who is up for a tailgate meet up before the match? Yes we probably just got done seeing the majority of you at UJ’s but Come on out to the tailgate and say Hi to everyone and drink some good beer to get those vocal chords warmed up to cheer on your Indy XI. Look forward to seeing Union Jacks packed on Saturday & meeting more of our Indy Reds. 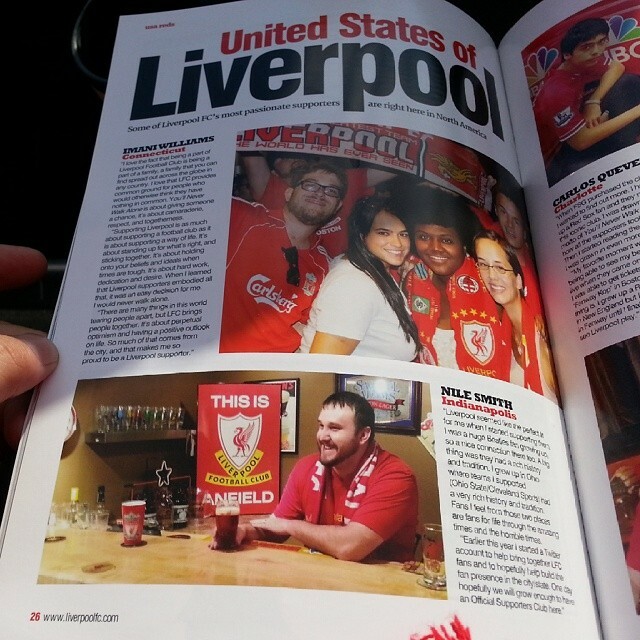 This entry was posted in Indy Red Fan Focus, Uncategorized and tagged Fan Focus, Indianapolis, Indy, Indy Eleven, Indy Reds, LFC, Liverpool, YNWA on September 11, 2014 by LFCIndy. Welcome back Indy Reds. Since LFC and the EPL are on International Break here is a new Indy Red Fan Focus to hold you over until the match next Saturday v Villa. 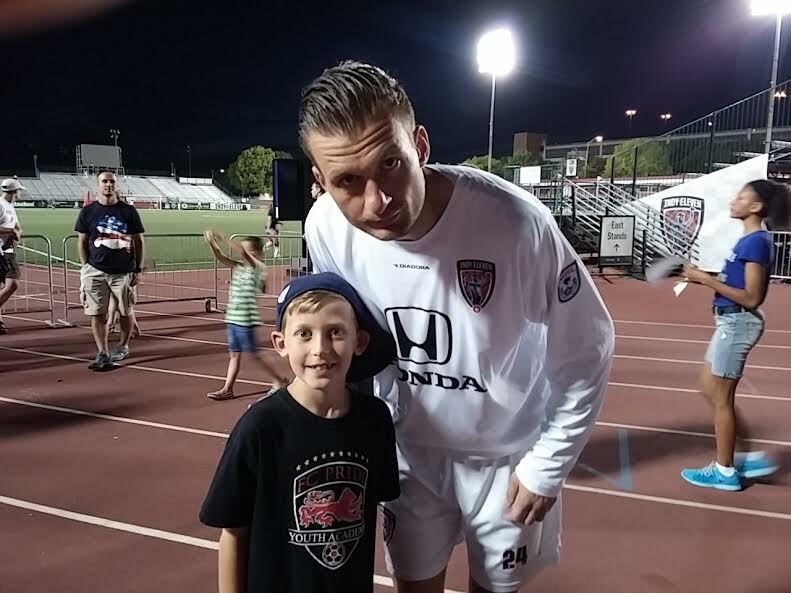 Up this week is Zach, I’m sure you have seen him out at the Indy Eleven matches and on twitter. How did you pick Liverpool as your team? Played with them on old console gaming systems and stuck with them. 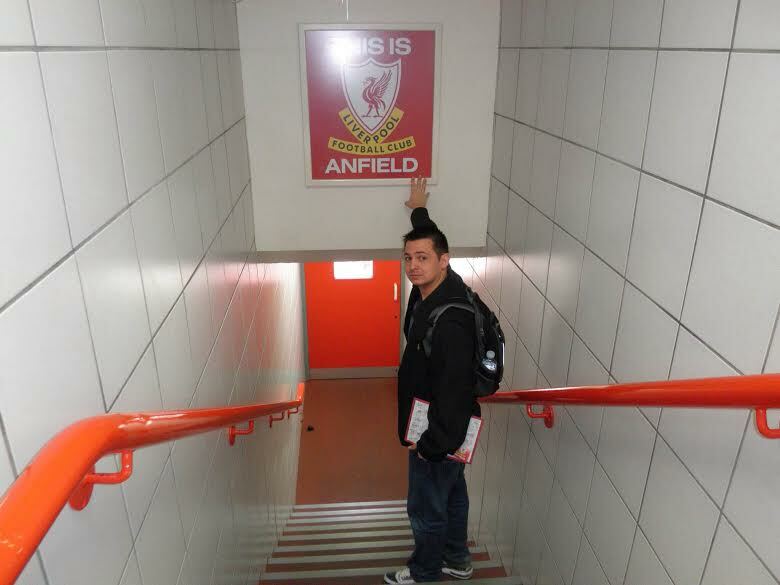 Truly found my love for the club when I studied abroad in London, England in 2006; right before they won the FA Cup. Liverpudlians cannot be matched when it comes to passion and love for their club. First LFC memory? My first true memory came when I watched the FA Cup win in 2001 when Owen scored twice to help LFC in their comeback win. Favorite LFC memory? Easy, Instanbul. However, to change it up a bit, Gerrard’s beautiful, curling, last-minute winner against Villa in 2007 really has stuck with me. Do you have any superstitions or traditions you do/have for each match? I used to eat an entire box of twinkies before each match (which I have a pretty good record with) but my health suffers greatly when I do, so I’m currently looking for another. I always wear the same shirt as the players do for each match. Where were you during Istanbul? I was in a lounge at college watching with a small group of other friends. Favorite Current Player and Why? Gerrard is my football hero. He is the definition of legend and leader. His loyalty to the club and passion for the game is unmatched. If you could meet or have dinner with any LFC player/manager ever who it would it be & why? Without question, Steven Gerrard. Everyone wants to meet their hero. Favorite LFC kit ever? 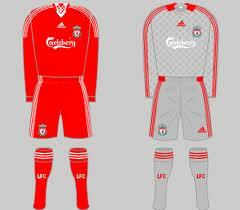 I would have to say the 2008/09 home kit. Just had a clean look about it that screamed champion. We were close that year! You are Owner of Liverpool for 1 day what do you do? This is a tough question. From a business stand point, the right people are in place to manage the club so I wouldn’t make any changes there. This is a weird, off-the-wall “want” but hey if I can make it happen, awesome. I would attach a building next to Anfield via a skybridge with luxury condos. I always thought that would be really cool to fulfill the dream for those who want to “live” at Anfield. LFC have just won the league, where are you going for a celebration dinner in Indy Area? I’m going where the party’s at. Indy Anfield, Union Jack Pub. Newest Signing or Young Player you are looking forward to seeing this year play? I’m really looking forward to seeing how Henderson and Sterling progress this year. They both grew leaps and bounds last season and I can’t wait to see how it continues. Favorite LFC Goal? 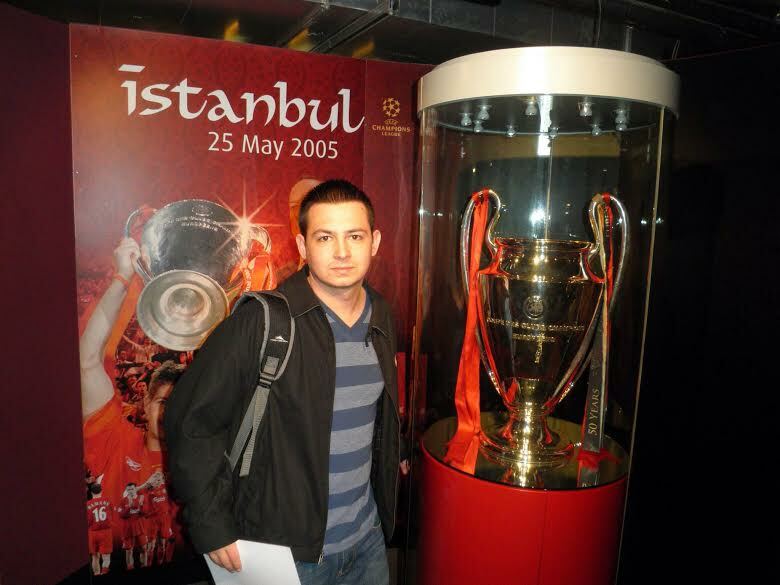 It’s between the Gerrard winner against Villa and Gerrard’s goal to get things going in Instanbul. Have you ever seen LFC play in person? Saw them for the first time in Chicago in July. What other sports do you follow or hobbies do you have? I love the Pacers. I “grew up” spending lots of time at Market Square Arena and what was then Conseco Fieldhouse. My dad worked for the Pacers and so I would spend many days during the summers or when I times when I was sick there with him. I also love weather and astronomy. I’m a bit of a nerd when it comes to that. I also mix trance music on rare occasion. Not the best by any means but I have fun! What makes you most proud to support LFC? 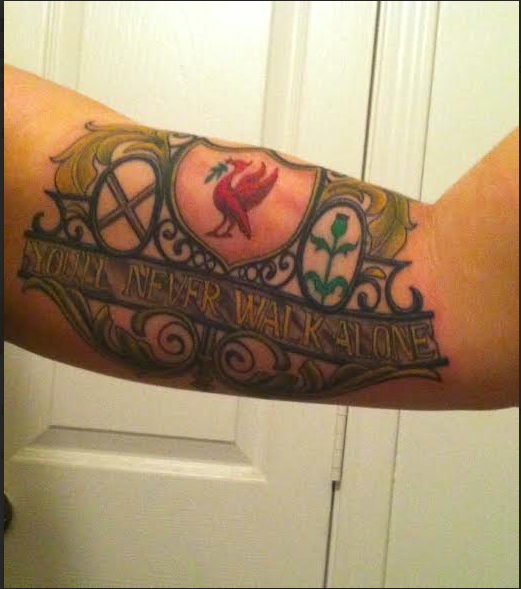 There is no other “fanbase” as loving of their club as LFC supporters are. The passion, the “we will never quit” attitude of the players. I’m always proud to wear my red shirt. Best thing about being an Indy Red? Thankful we finally are getting this official!! Well after that 3-0 thrashing we have Spurs it is an early season International Break. The big news is Daniel Sturridge picked up a thigh injury in training. Looks like he could be out for a couple weeks. Major bummer, but now is the time for Lambert/Borini/Markovic/Coutinho to step it up and help out on the score sheet. Even though the transfer window is over(what a window it was, very successful window) LFC are closing in on completing the signing of free transfer of former Barcelona keeper Victor Valdes. Hopefully this week goes quick, look forward to seeing Union Jack Pub filled up for the 12:30 kickoff v Aston Villa on Saturday. Thoughts on this simple T-shirt idea? Would be about $10 a shirt. Could do either just the front or have the front and the back. Willing to pre-order/pre-pay for them? If you have any design ideas get on Customink.com and post them to the twitter or Facebook page. 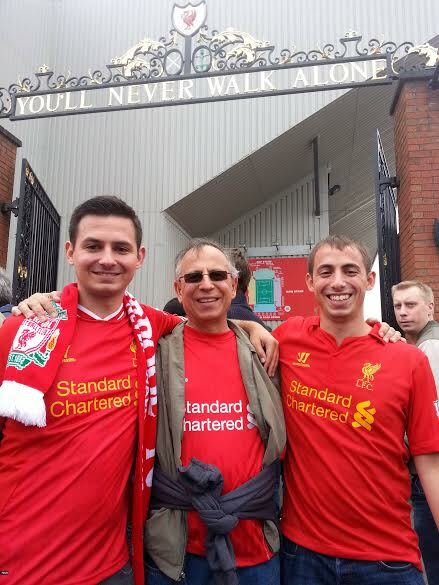 This entry was posted in Indy Red Fan Focus, Uncategorized and tagged Fan Focus, Indianapolis, Indy, Indy Reds, LFC, Liverpool on September 5, 2014 by LFCIndy.